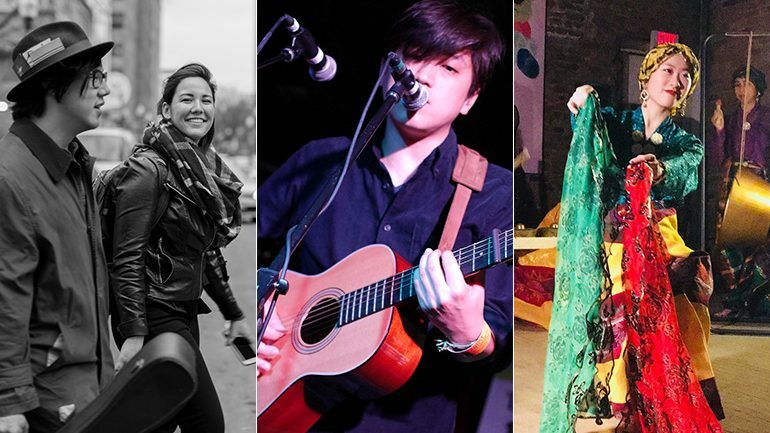 Comprised of two PhD students from Brown University Julian Saporiti and Erin Aoyama, No-No Boy will perform a multimedia concert that brings the stories of Asian America to life through folk music. Saporiti, inspired by his own family’s history living through the Vietnam War and Aoyama, whose family was incarcerated at Heart Mountain Relocation Center during WWII, aim to shine light on experiences that have remained largely hidden in the American consciousness through their nearly sixty song repertoire. Bobby Choy aka Big Phony is a singer/songwriter born and raised in NYC who now resides in Seoul, by way of Los Angeles. His honest lyrics, gentle voice, and seemingly effortless guitar stylings has landed him on stages ranging from SXSW and Webster Hall to intimate bar shows in Korea. Bobby’s music has been featured in a number of films and tv shows, most recently in his own debut directorial feature Fiction & Other Realities screening at PAAFF’18, in which he also stars. Sining Kapualan is an educational cultural arts group based in Brooklyn NY Through teaching and learning indigenous rituals, practices, music, and dance, they strive to connect the Filipino American community to the different indigenous and minority groups in the Philippines. This performance will feature popular dances and music from around the Philippines.